Workplace injuries occur every day. Nearly three of every 100 Ohio-based workers experienced a non-fatal workplace accident in 2016, alone. Fatal workplace incidents that year totaled 164 according to the U.S. Bureau of Labor Statistics. 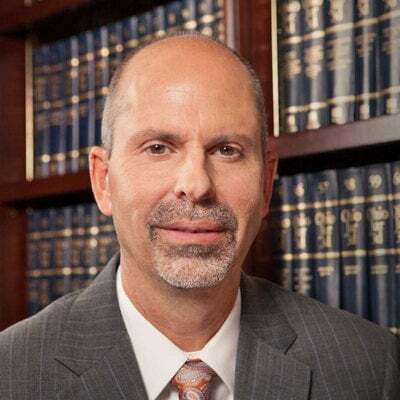 With over 30 years’ experience representing clients in all aspects of workplace injuries, David Graham knows Ohio Workers’ Compensation and Social Security disability law from all angles. Starting with the complimentary assessment of a Workers’ Compensation claim, working with medical professionals and filing paperwork all the way to defending a claim in court, if necessary, he gives every injured worker the respect and quality legal representation they deserve. His focus is always on helping people get their lives back to as normal as quickly as possible. Clients appreciate David’s upfront and honest communication regarding the positives and negatives of their case, the outcome they can expect and how they might move forward. But ultimately, he knows that it is their claim and their decision on how to proceed. A workplace injury claim can be a worrisome burden for the injured person. David understands how critical it is for the individual to focus on getting better, not how, when, or where to file paperwork. He assists clients in all aspects of processing a claim for a work injury, including completing an application, obtaining necessary medical records and narrative opinions from treating physicians, requesting additional diagnosis be accepted by the Ohio BWC (Bureau of Workers’ Compensation), assisting physicians with treatment requests, filing appeals, and advising clients on all types of compensation benefits to which they are entitled. He communicates with the Ohio BWC on behalf of his clients and represents them before the Industrial Commission of Ohio. If the injured receives a denied claim, David is ready and able to appeal their case in Common Pleas Court and further pursue an acceptable resolution. David is proud of his rich heritage, becoming a partner in the firm that was started by his grandfather and great uncle in 1923. Today, the firm’s mission to serve the communities of Zanesville, Muskingum County, and southeastern Ohio is carried on by two uncles, a brother, a cousin, and a nephew.